But, freelancing is not all rainbows and smiles. Freelancers have to take care of their own finances (including taxes), find and close their own projects (because their income depends on having enough work), and manage their time wisely (since they don’t have anyone else telling them what to do). Certainly, successful freelancing requires wearing many hats—sometimes that includes responsibilities related to hiring and management, too. Freelancers are starting to become an increasingly larger chunk of today’s workforce. As of 2018, a report from Upwork says 56.7 million Americans worked as freelancers. That is more than one-third of the entire labor force. Luckily, the marketplace is responding in kind with high-powered tools that freelancers can use to be more effective. Understanding the importance of information availability, regardless of which tool you’re currently using, most of our picks for the best tools for freelancers integrate with other popular tools for freelancers. One of the best and worst things about being a freelancer is that every day is different. This is ideal if you’re the type of person who hates routine work—but not so great if you’re not self-disciplined enough (or don’t have a system) to keep track of deadlines and appointments. With this in mind, having a calendar and meeting scheduling tool is a must alongside other best tools for freelancers that you’ll want to start using. Many people buy multiple Apple products specifically because of how easily they sync with each other. 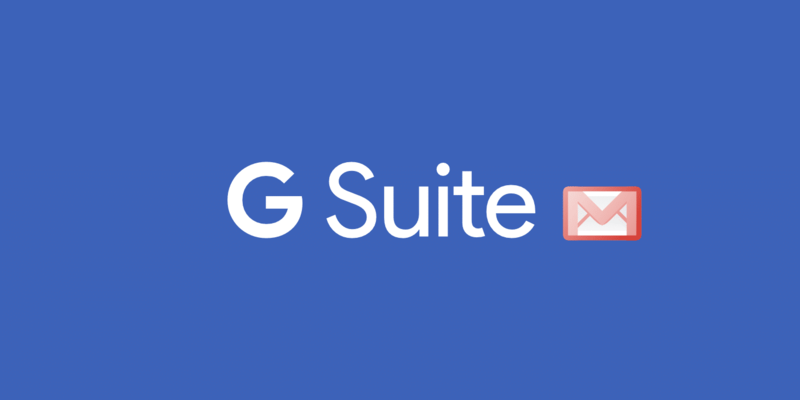 On a similar note, since most people have a Google account, Google Calendar is the gold standard, one of the best tools for freelancers in terms of calendar management—especially now that they’ve introduced new features geared towards business use cases. 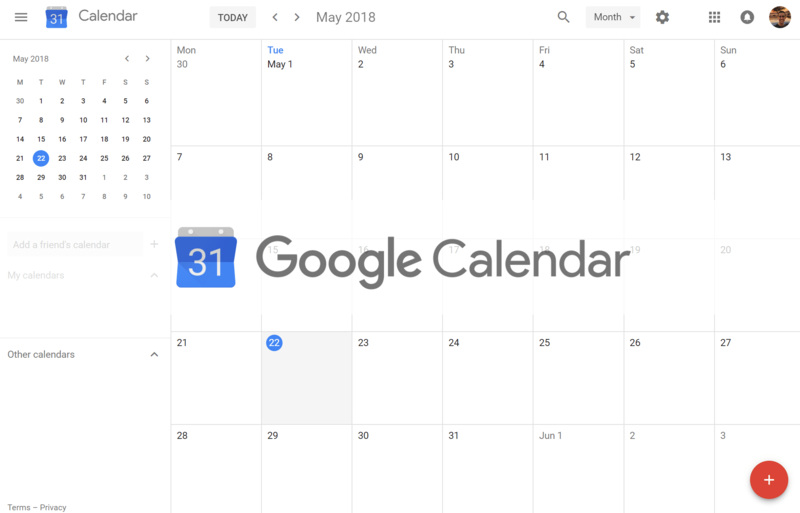 Google Calendar events can be shared with other team members, so if you’re working as a virtual assistant for many clients, you can view and manage multiple calendars at once. Hate wasting time finding meeting times that work for both parties? Calendly makes it easy to cut to the chase—just send recipients your unique scheduling link, which presents multiple meeting options based on your calendar availability. 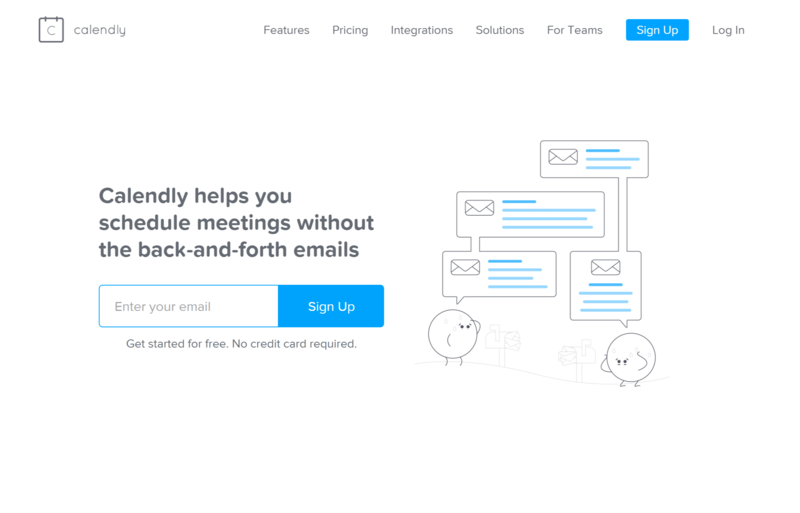 Calendly allows you to schedule one-on-one or group meetings, integrating with Google Calendar, Outlook, Office 365, and iCloud, as well as apps like Salesforce, Zapier, Slack, and MailChimp. Calendly also automatically handles timezone detection so you can schedule meetings with clients from other countries with less confusion. Cloud storage has made it easier to store, access, share, and even collaborate on files in real-time: from anywhere in the world with an internet connection. Because of all these useful features, a cloud storage solution is necessary for freelancers who collaborate remotely with clients and contractors from all over the world. Using cloud storage tools can also serve as a backup storage solution, especially since hard drives are prone to viruses and wear. By working in the cloud, you don’t have to worry about a sudden computer shutdown and lost work—your work is automatically saved as you type! Dropbox is a cloud storage software that is free to use with a set storage limit. You can share files with your friends and complete certain tasks to increase your monthly storage space: like inviting more users and installing Dropbox on multiple devices. You can also opt to purchase extra storage space, depending on your unique needs. 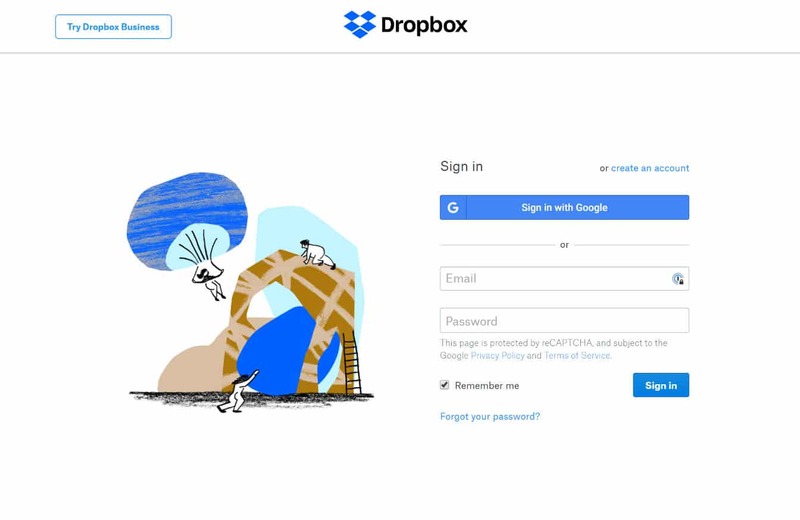 Besides working within Dropbox’s apps, you can install Dropbox on your computer. Doing this makes it so that you can automatically sync your online files for access on your computer. 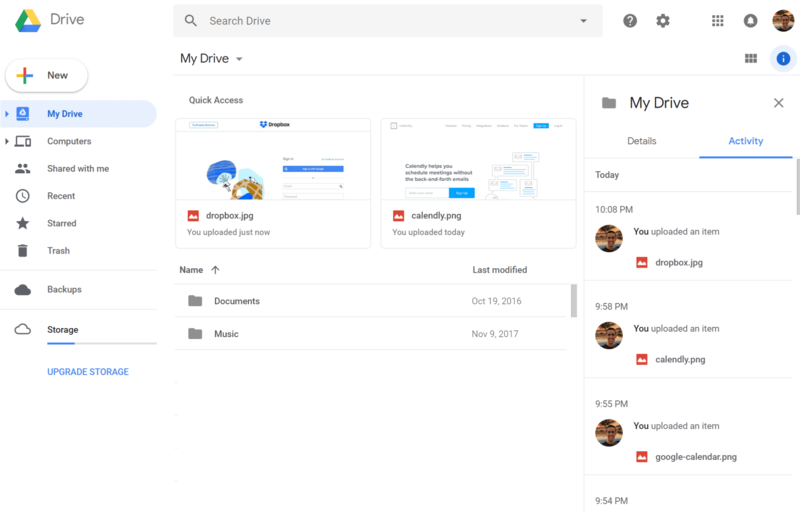 Google Drive is becoming a popular alternative to Dropbox because almost everyone has a Google account, and Google Drive includes access to their suite of software tools, including Docs, Sheets, and Slides. These programs allow you to work online and collaborate with others in real time, storing the files in your Drive. Like Dropbox, it comes free with a limited storage space (15GB), with the option to purchase more. You can also install Drive on your computer to sync your online files. Redundant backups are always a good thing. 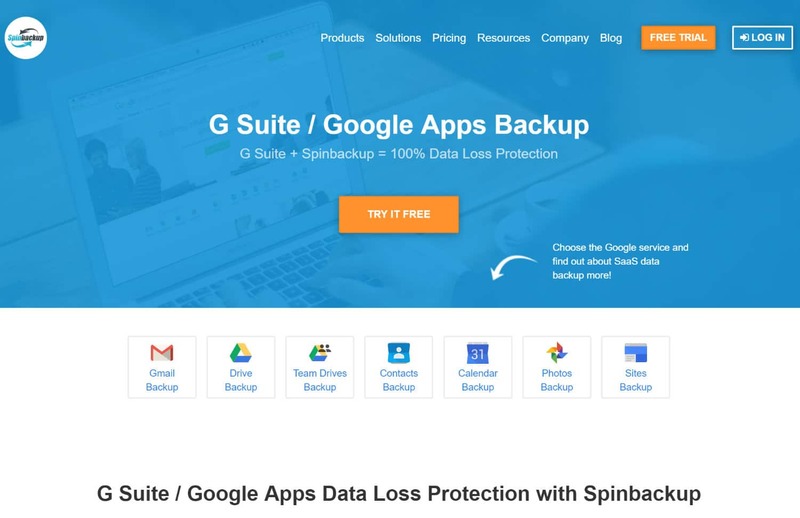 If you’re a heavy user of Google products (such as Gmail), you can use a tool like Spinbackup to backup your Google products offsite. It might sound strange to back up something that is already supposed to be redundant. But what if your Google account got hacked? Spinbackup protects Google users from account hijacking in cases where the original Google account has been compromised by cybercriminals. This way, you can rest at ease knowing you’ll never lose those important emails, photos, or documents. They even back up incrementally, meaning only changes are saved, which allows for a super cheap backup! Whether you’re courting a new prospect or have already closed the sale, staying in touch with those interested in your business is critical for staying busy with projects. 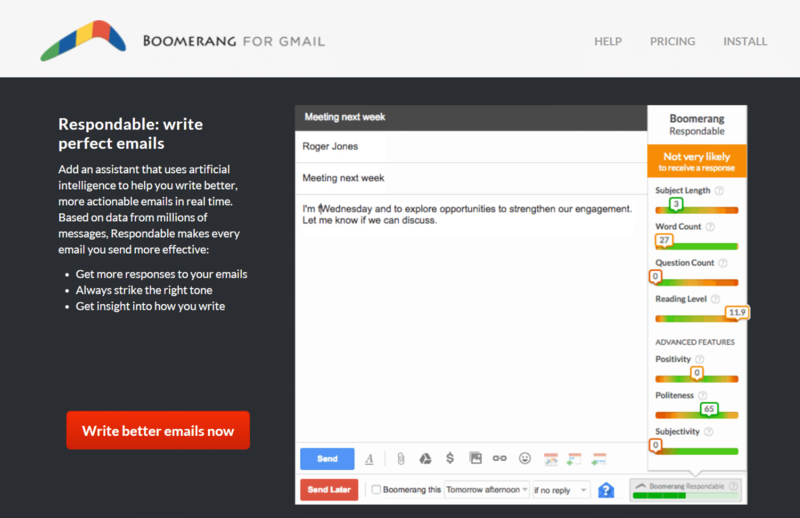 Boomerang is helpful for staying on top of email communications. It’s main claim to fame is its ability to schedule emails to be sent at the best possible times. You might get a lot done on weekends but don’t want customers to get used to you responding to them during your “free” time—so use Boomerang to draft pending responses, then schedule them to be sent during your regular working hours! Boomerang can also be used to move the sale forward, allowing you to see if your emails have been opened, read or clicked, and it also allows you to set up automated follow-ups. Boomerang offers free and paid options, depending on your needs. If you’re looking for a more robust email productivity/sales tool, Cirrus Insight has a lot of the same features—and more! 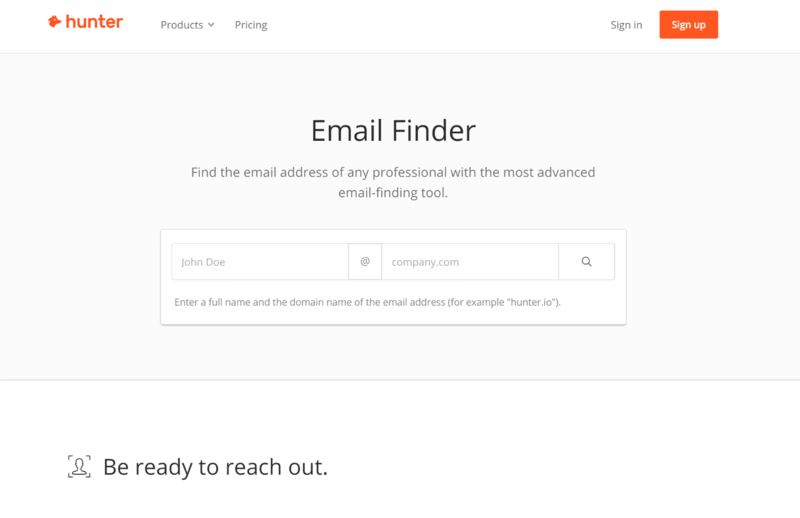 Hunter.io helps you find specific email addresses when you want to pitch a prospect and would prefer to go straight to the decision maker. Simply search for the company website and it will find available email addresses. For best results (and to help determine the actual decision maker), cross-reference with LinkedIn profile data. Voila Norbert was elected the most accurate email finder out there according to Ahrefs. 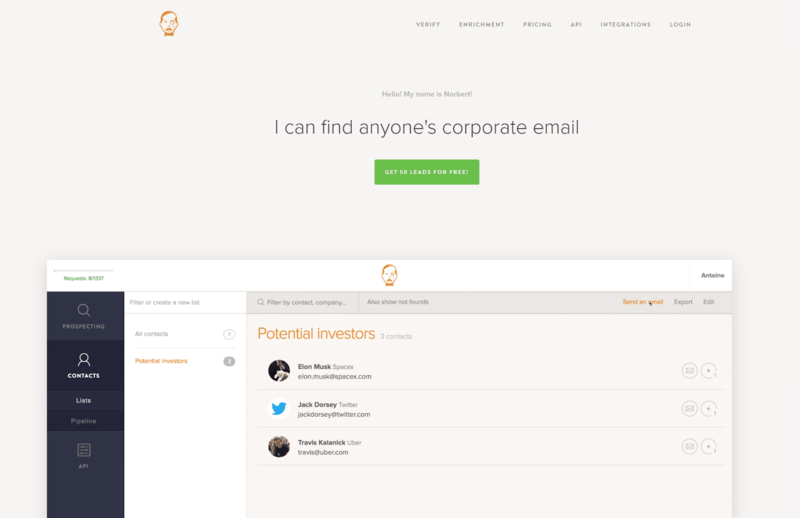 Norbert also has an email verifying tool which allows you to upload a list of emails and get results in no time. Whether you’re trying to reach out to influencers, build marketing connections or reach potential recruits, Norbert’s got you covered. You’d be hard-pressed to find a company not using Slack or a similar communication tool to connect people working together on long-term projects. It assists with organizing communications that require a simple response—where email might otherwise be too bulky and annoying. The major downside of acquiescing to a client asking you to get on their Slack? Notification overload! If you’re not using it yet, it’s best to download and start using it now so you’ll be used to it when a client asks you to use it in the future (and inevitably, they will). 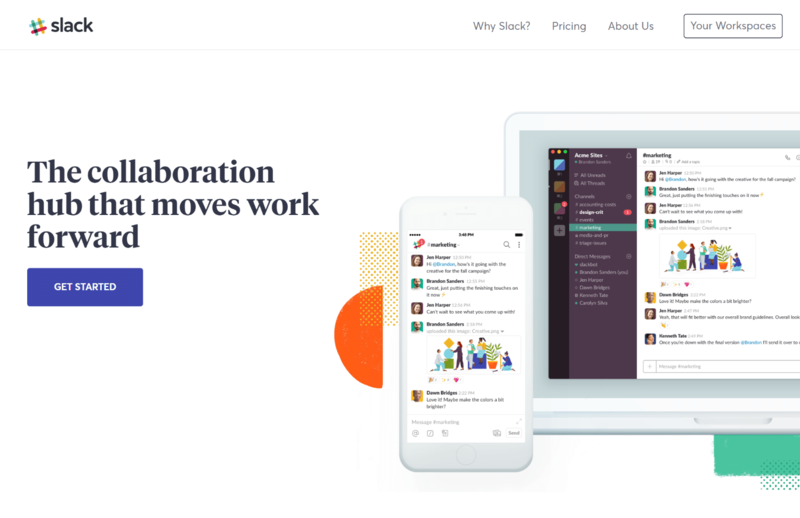 Thanks to its popularity, Slack integrates with a lot of other best tools for freelancers shared on this list, like Asana, Google Drive, and Trello. A rookie mistake many freelancers make is working without a contract or a set of terms and agreements. A written contract not only helps to brand you as a professional, but it also protects you by drawing a line between you and the client—and helps to ensure that you get paid fairly for your time and services. Put simply, the contract states what each party has agreed to do (the scope of work), how much you’re getting paid, and when you’re getting paid. By setting it up this way, you have evidence in writing, which you can then use to seek reparations, should the client prove difficult. Before getting overwhelmed by incorporating this legal dimension into your company, know that contracts don’t have to be fancy. There are plenty of free and affordable options that you can use to your advantage. While hiring a lawyer who understands your business and local laws is the gold standard when it comes to creating legal documents, just getting started with basic legal document templates is silver (or bronze, perhaps). LegalZoom offers members a library of legal document templates for just $7.99/month. To add on attorney support, which can be a great help if you get stuck trying to fill out LegalZoom’s templates, it’s $31.25/month, total. LegalZoom can also help you with business formation (and act as your registered agent), if your business is still new. If you’re on a budget, consider taking your completed contract templates to your local Small Business Advisory Board—they’ll have legal professionals on staff (and other business operations professionals) available to help advise you for free. 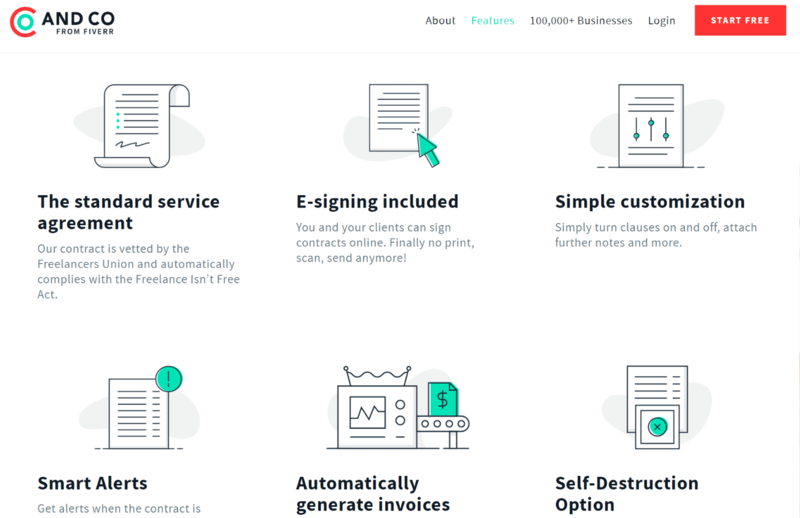 Bonsai is a contract creation and invoicing software tool that makes it easy for freelancers to create contracts, review (and revise) them with clients, and legally e-sign them when your clients are ready. Truly, fill-in-the-blank templates make the process a lot less confusing than having to create or edit the document without any context! Bonsai also comes with an invoicing system that integrates with Stripe, Paypal, and Coinbase. Bonsai, one of the best tools for freelancers, allows freelancers to get paid using ACH—which many other similar tools don’t offer. This can result in lower payment processing fees for high-earning freelancers. 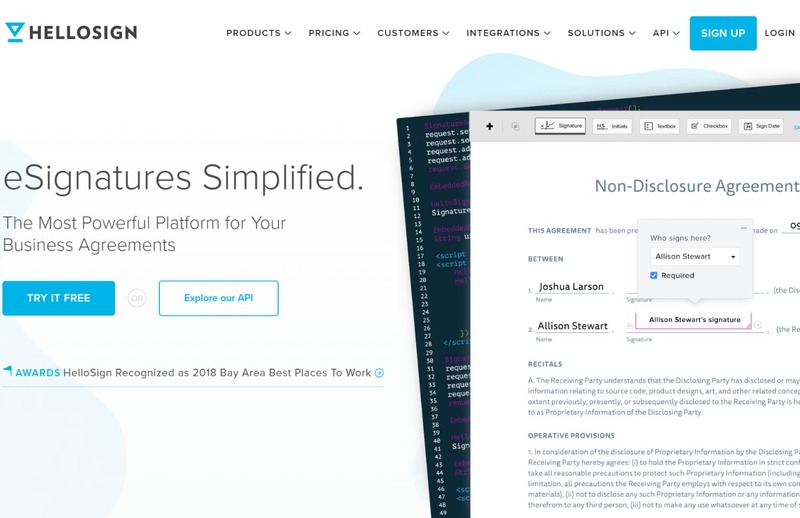 The premise of Bonsai is making everything simple for freelancers, which is why this tool is used by over 30,000 freelancers (up from 10,000 in 2016!). Bonsai founders Matt Brown and Matt Nish share that Bonsai users get paid two weeks faster than their average with other tools, and experience 3x less late payments than they had before using the tool. Thanks to a recent acquisition by Fiverr, all of AND CO’s awesome freelance administrative tools are absolutely free! 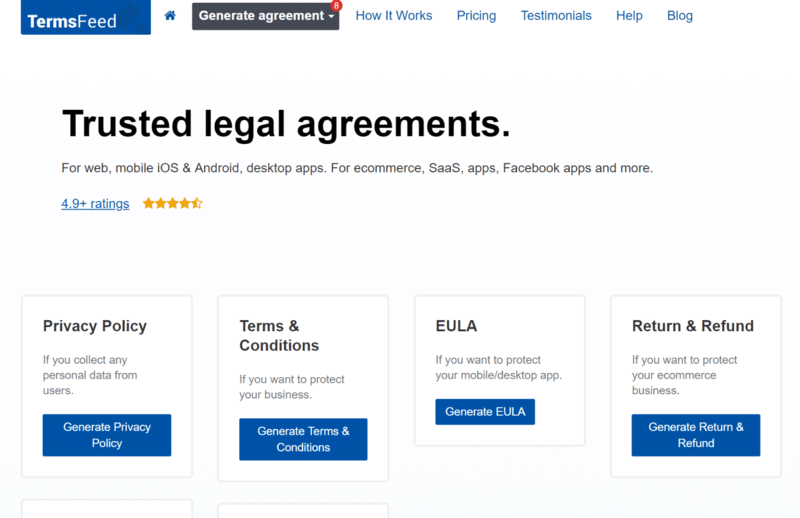 Like Bonsai, their contracts tool is fairly intuitive and walks you through the entire process. 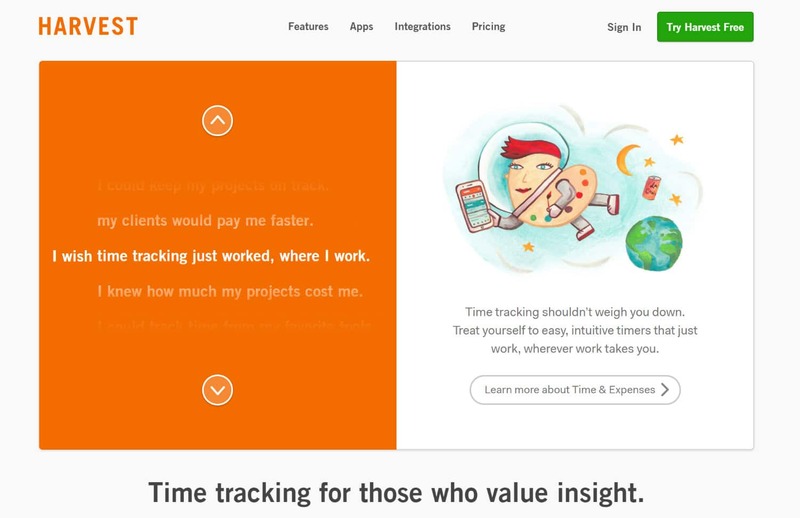 You can also use AND CO for time tracking, expense tracking, invoicing and more. It works best when used as a complete system. If you already have a contract template you’re proud of, consider HelloSign for your e-signing needs. HelloSign offers a free plan for up to 3 document signatures per month (and an affordable unlimited plan if you have a larger need). Let’s face it, if you’re on the buyer’s/receiver’s end of a transaction, you don’t really read the terms and agreements part. But it’s a whole different ballgame when you’re a seller or service provider—like if you operate an ecommerce business. You need to create and publish these terms before you offer a product or service, to legally protect you, should people decide to come after you. 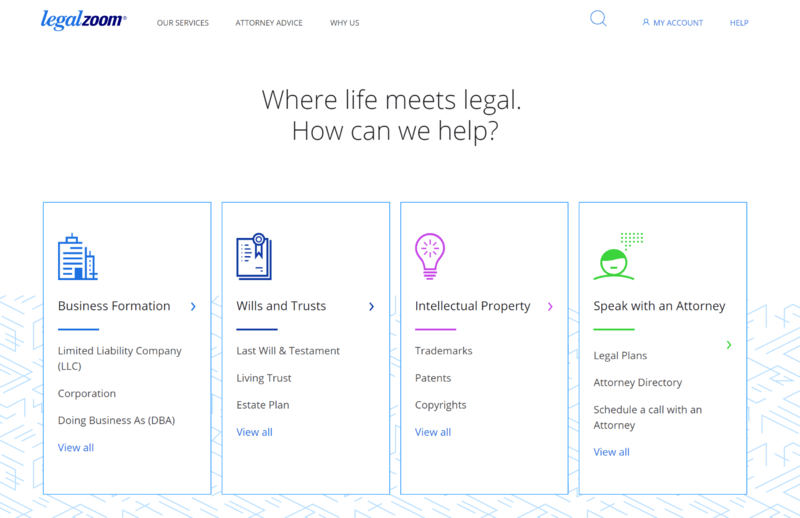 Termsfeed helps by generating legal documentation, such as privacy policies, terms and conditions, terms of service, return policies, and more. Many freelancers who provide marketing services get dragged into graphic design—even if they make it clear that it isn’t really their forte! Luckily, there are plenty of free and affordable graphic design tools for freelancers that you can use to produce visual content that clients will love. 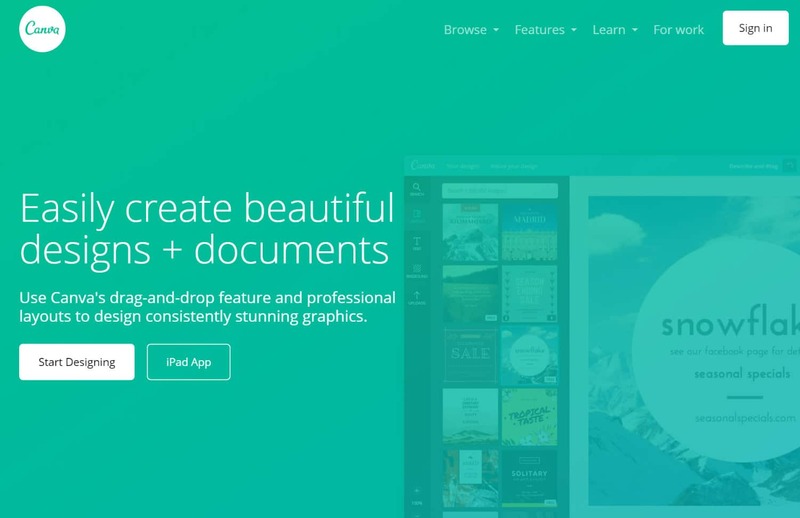 Made famous due to social media influencer Guy Kawasaki’s stake in the company, Canva has grown to become synonymous with the idea of creating beautiful graphics without a background in graphic design. If you would like to learn more how to create images with Canva check out this tutorial. 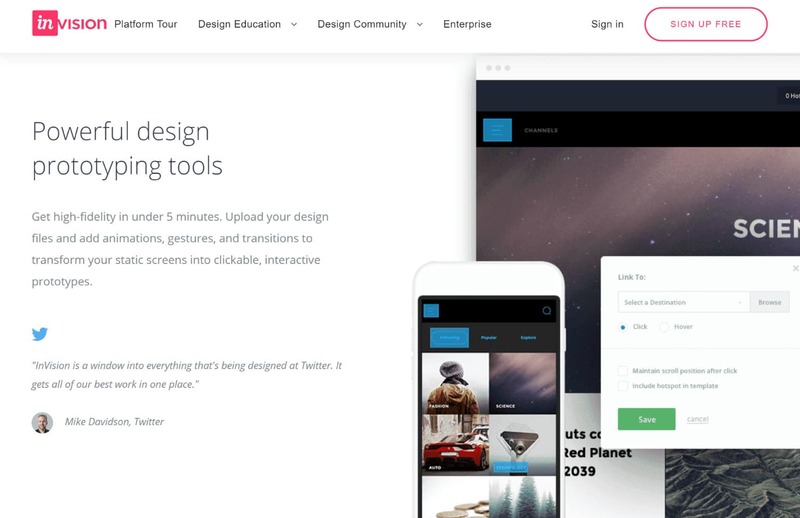 Created with website designers in mind, InVision is one of the best and most powerful design prototyping tools around. Although you can’t create designs within InVision itself, the app allows you to upload your static designs and modify them by adding animations, gestures, and transitions—creating fully interactive prototypes. Freehand, where teams can collaborate by sketching and presenting designs for feedback—even while they aren’t physically in the same place. If you’re a freelance designer or freelance writer, you’ll want to work towards creating a portfolio website. If you’re not ready to deal with the cost or technical skills required to create a website, you’ll want to consider another portfolio building tool in the meantime. 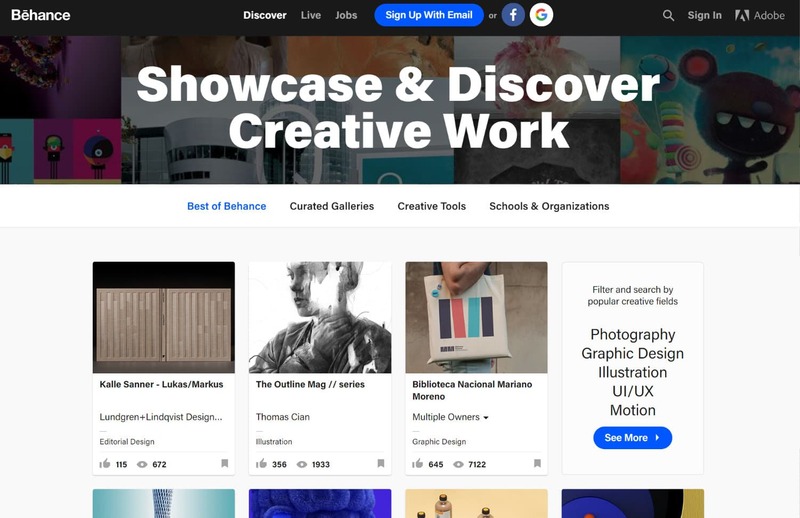 Specifically for freelance designers, Behance is a great place to showcase your work. In addition to providing the foundation from which to build a portfolio, the platform boasts a large number of art and design enthusiasts. By becoming familiar with Behance and its users, you’ll find it easier to gain inspiration—and a following. 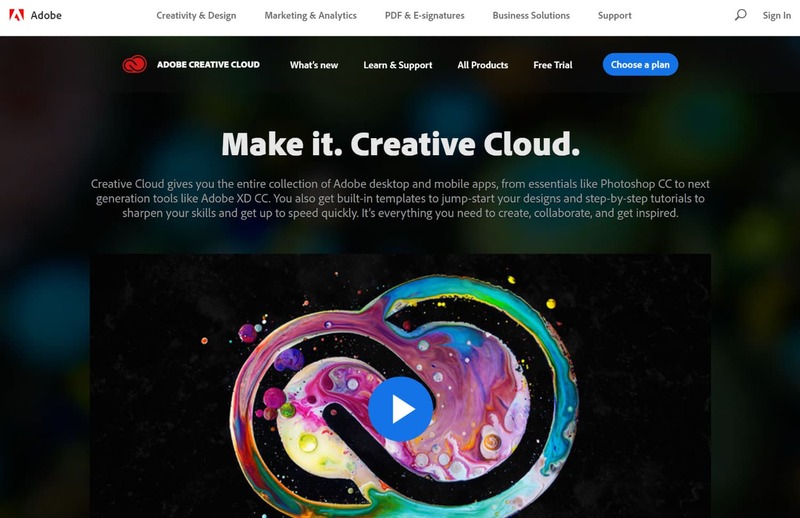 Adobe Creative Cloud is a subscription service that gives you access to Adobe’s industry-standard design tools. 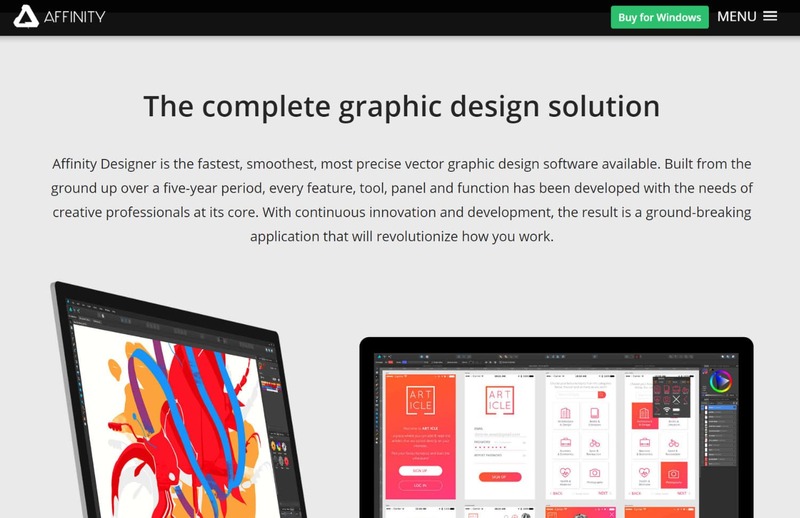 These tools include Illustrator, Photoshop, Acrobat, Premiere Pro/After Effects, and InDesign. Pick your plan based on which apps you actually need—don’t pay for more than what you’ll use (you can always upgrade later)! Tools for freelancers can quickly add up and while Adobe Creative Cloud is definitely one of the best on the market, there are cheaper alternatives, as well. Affinity Designer and Affinity Photo have become very popular over the past couple years. They offer almost identical features (same shortcuts, tools, etc) but with a low one-time payment (under $50). They offer both Mac and Windows versions. Whether they want to or not, freelancers have to take care of their own finances: from managing their budgets, to receiving payments (and chasing down late invoices), and dealing with their taxes. The best tools for freelancers make this part of the job a little easier! For freelancers with clients from other countries, getting paid via bank transfer can cost a lot in fees and the money can take a long time to arrive. 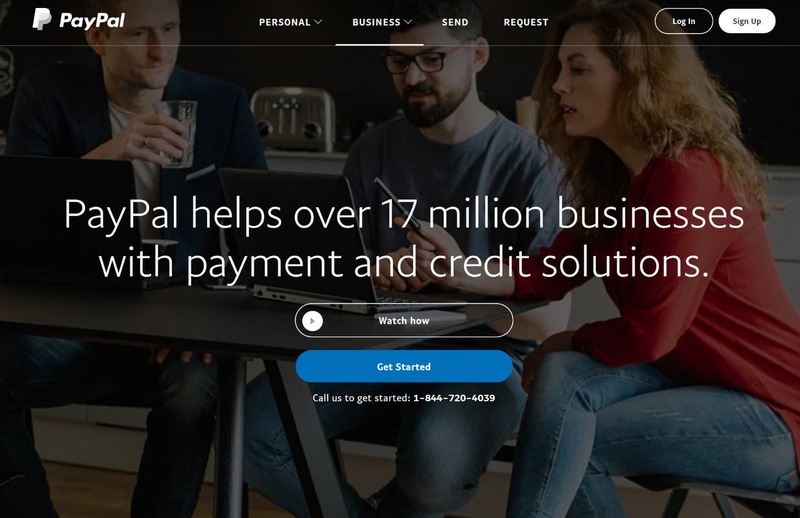 PayPal is the most convenient way most freelancers get paid. It is available in over 200 countries, can support 25 currencies, and is generally considered as very secure. PayPal is also very flexible: accepted as a payment method by many online merchants. The only caveat, one that most freelancers know oh-too-well, is that PayPal charges some steep transaction fees as a cost of doing business. The good news? These fees can be deducted from your taxes as a cost of doing business! 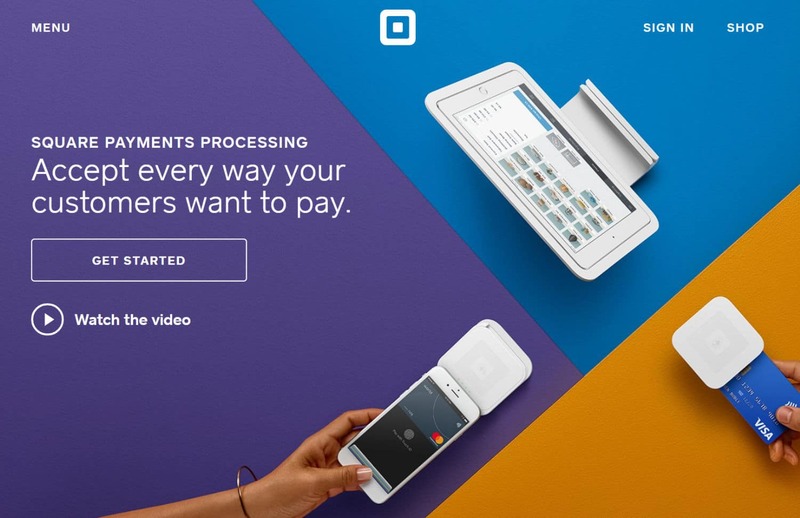 Square allows you to accept credit card payments and get deposits the next day. If you have an eCommerce shop, Square also offers a POS system that deals with inventory, refunds, taxes, discounts, and comes with sales reporting tools. Mint is one of the best budgeting apps out there. It is very comprehensive, gathering all of your (connected) financial accounts and information together in one dashboard. It also helps you track your bills, budget, and investments—which helps in analyzing your complete financial picture. This is essential for a freelancer in knowing the amount of money you truly have—but you’ll want to make sure that you’ve already implemented a system that includes a separate business credit card, checking account, and even a (tax) savings account. 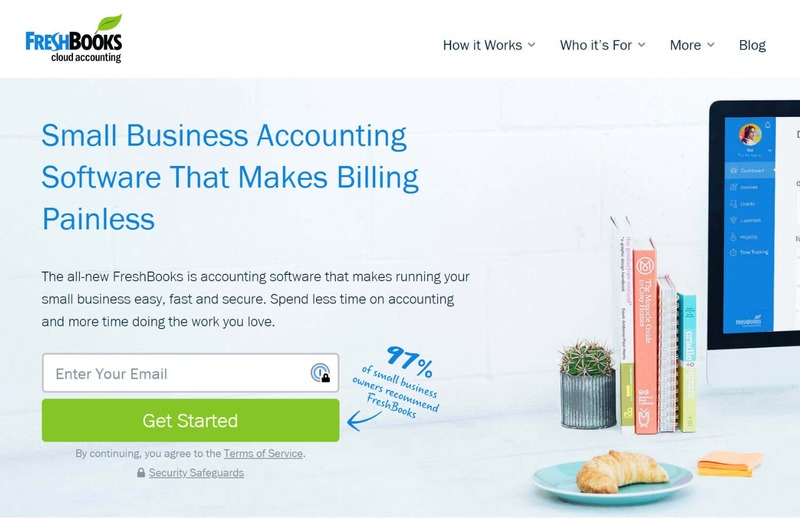 Freshbooks is a free cloud accounting software that includes powerful features such as time tracking, invoicing, project tracking, and the ability to accept credit card payments. It also integrates with Hubstaff. 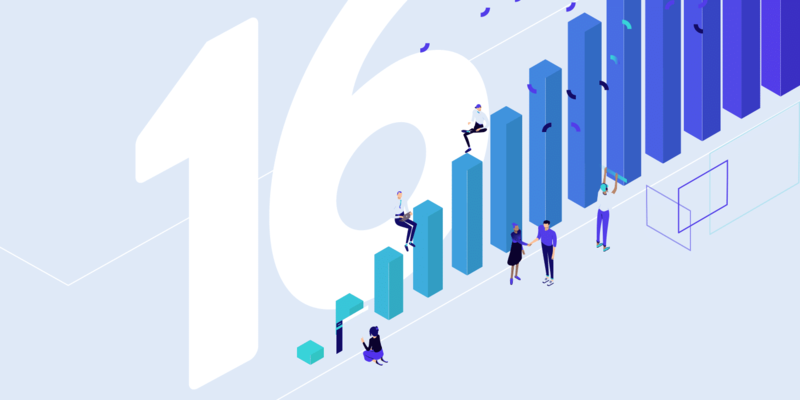 Many freelancers swear by it—but using it over it’s next most comparable competitor (Quickbooks) will largely depend on the specific features you need and how many clients you’ll be billing through their platform. 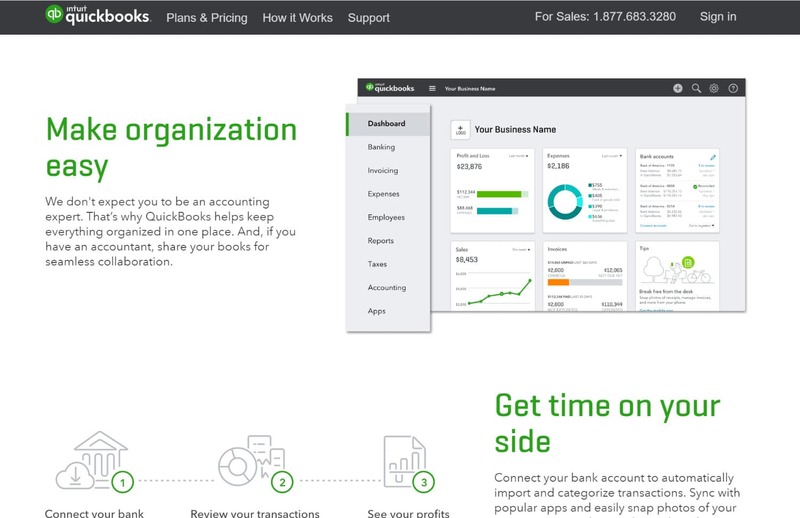 Quickbooks is another popular accounting software tool that connects with your bank accounts so that you can easily track your income and business expenses. In addition to bookkeeping, you can use it to manage and pay contractors (or yourself, via their Payroll feature), and it can also track car mileage from an expense standpoint. As your freelance business starts to grow, you’ll have to adjust your accounting practices. 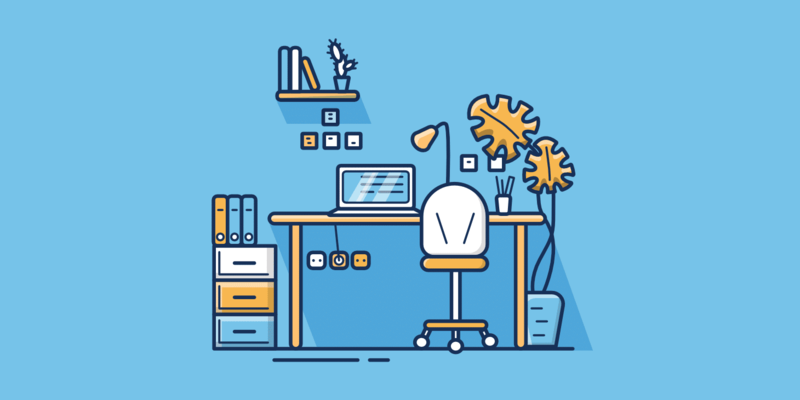 Many freelancers decide to structure their business as an S Corp for tax benefits. While this can save you a lot of money, it can be a bit of a headache in terms of payroll. Save yourself the hassle of managing the day to day financials by using a done-for-you tool like Gusto. If you’re an independent contractor and are downright confused when it comes to these types of things, then reaching out to a company like ICTaxAdvisors is also recommended. Essentially, they set up your LLC for you (S-Corp if needed) and handle all the payroll integration (they use Gusto) and all the tax filings. This can help make tax season a breeze. For every $1 billion invested in a business, $122 million is wasted due to underperformance. Following this line of thinking, project management tools are important for staying on top of assignments and not leaving money on the table! 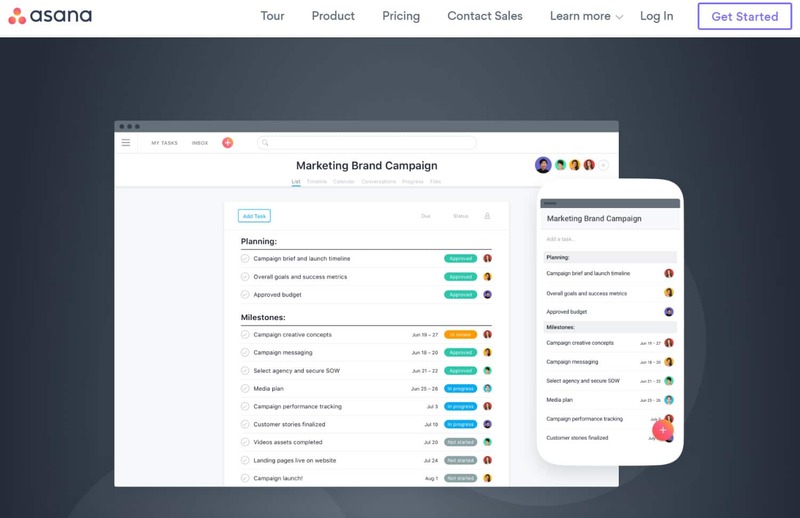 Asana is a beautifully designed project management solution that is robust with features to the point that it can almost feel like too much sometimes. For this reason, it’s best used for specific projects where you need to collaborate with others (or when a client adds you to their instance of Asana). You’ll probably want to use a different tool for your own personal project management efforts. 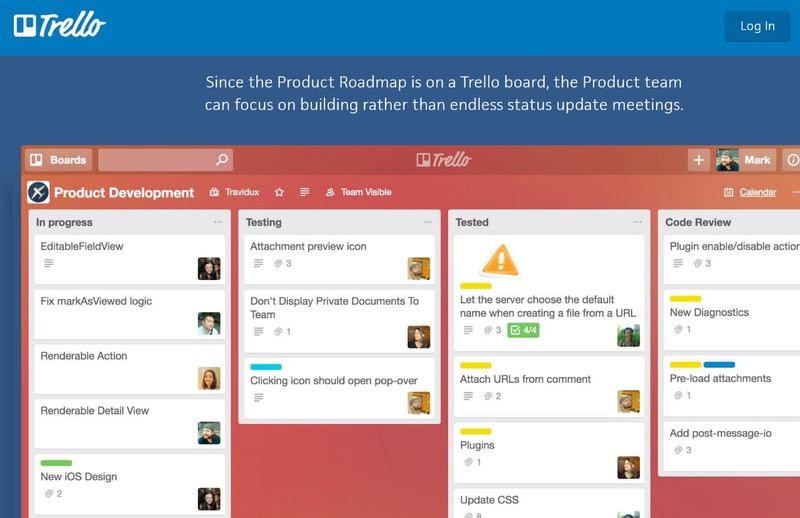 Trello is a project management tool that is best suited to those who appreciate visuals and graphs. In Trello, you can create boards and add cards to represent tasks that you need to do or that you are assigned to. Trello is very flexible and can be used for just anything, from personal task management, to those related to your business and projects. Many top online publications use Trello as their editorial calendar (Kinsta does!). Basecamp is an all-in-one project management solution that includes functionality for to-do lists, message boards, and cloud storage. It’s best used to manage multiple people in multi-step projects. One ideal application? If you’re a freelancer who offers social media marketing services and have other team members who are in charge of graphic design creation and scheduling. 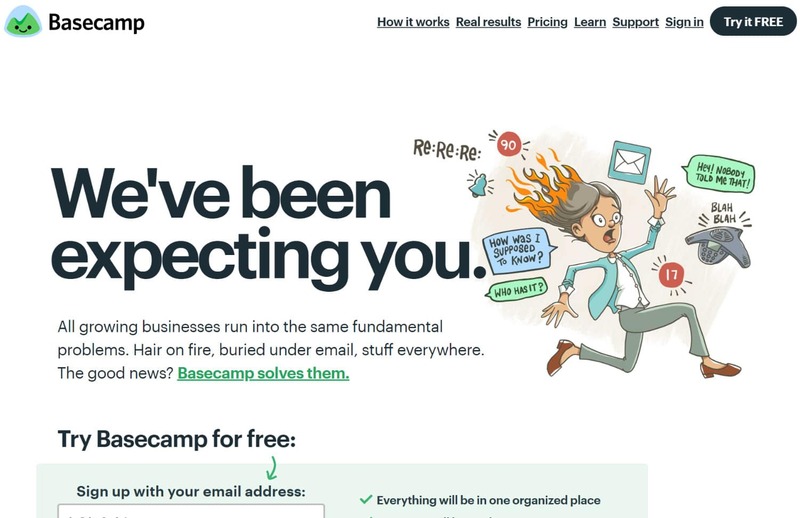 Using a tool like Basecamp keeps all relevant information in one place, for all parties. One of the best things about being a freelancer is owning your time and being able to choose which projects you take on. The downside of working on your own time is that no one else is there to supervise you, which can be an easy way to procrastinate or lose focus. Also, since you’re on your own, you have to think through the details of every little thing. The best tools for freelancers include productivity tools that help keep you on track. 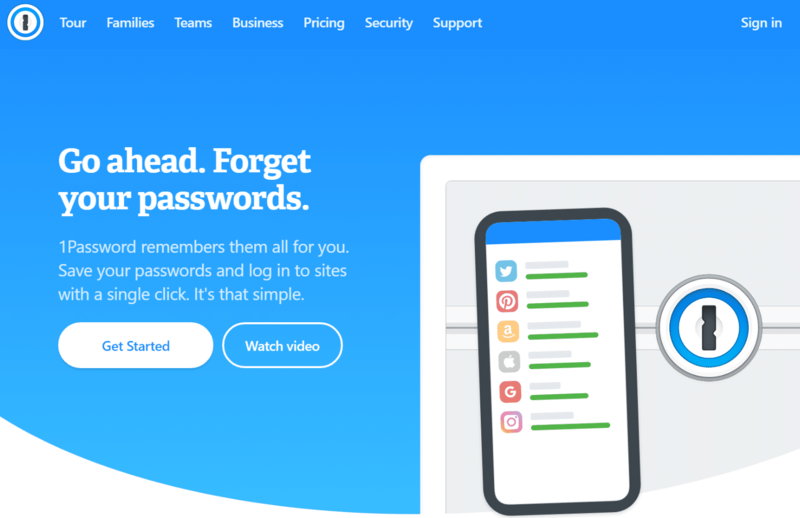 With so many websites and accounts you need to keep track of, 1Password makes it easier for you to create a usable database of this information, securely storing all of your logins for others on this list of the best tools for freelancers. And when you’re ready to use a specific username/password combo, 1Password brings it up for you automatically (as long as you’re logged in and using the Google Chrome extension). IFTTT stands for “if this then that”, and is one of the best task automation tools currently available. 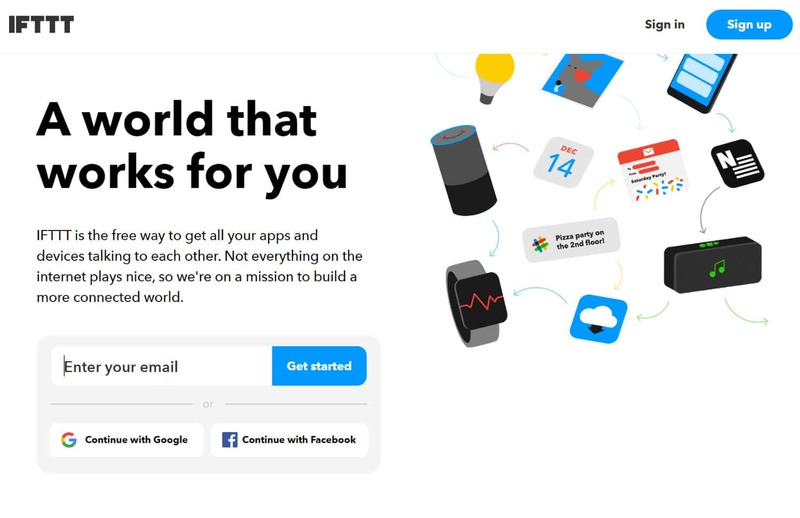 IFTTT integrates different apps and platforms together. All you need to do is select an app or platform, and a trigger action that will allow a different event in another (or even the same) application. These are called ‘applets’, and there are several available on IFTTT. Understanding that it’s hard to create these applets on your own, without previous experience with the platform, there are many already created and available to use with applications for social media, workflow, weddings, shopping, and even controlling your smart home. Once you understand how it all works, you can create your own! While working or browsing the internet at random, you likely come across articles, videos, and links that you’d like to refer back to later. Instead of bookmarking these things within your browser, why not save them to Pocket? 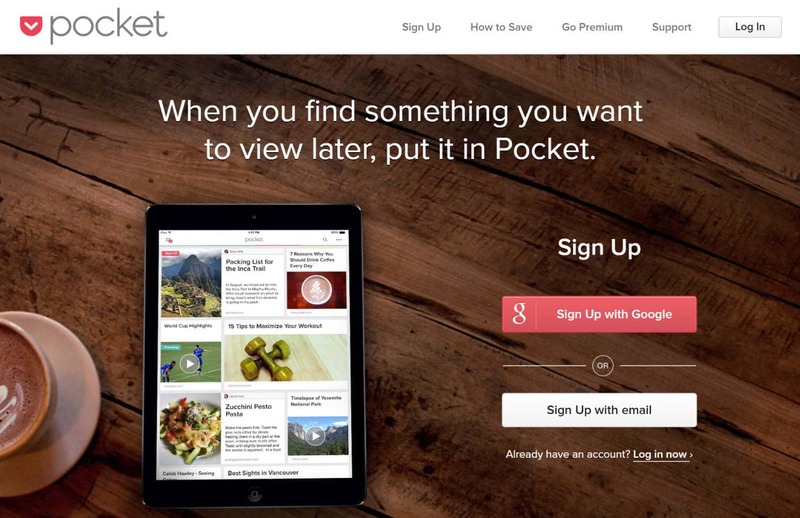 Pocket makes it easy to save useful resources for later and allows you to access all of this information across your other devices. Writing is a part of every freelancer’s life. After a while, you’ll probably start to recognize that there are certain phrases you use on a regular basis that are cumbersome to type out time and time again. TextExpander can help by assigning shortcuts to these phrases. For example, if you find that you’re often typing out your address, just assign a shortcut such as ‘address’ and TextExpander will automatically type in your address. 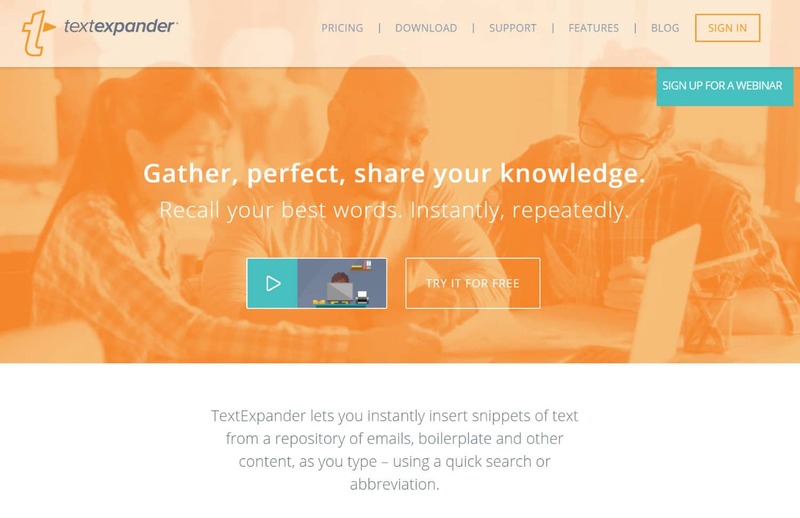 As TextExpander is only available with a paid plan, you might appreciate an alternative—Auto Text Expander, a Google Chrome extension. If your dreams include making six-figures as a freelancer, you’ll need to add “business development” to your list of everyday roles. It’s not enough to apply for available job postings or seek opportunities solely through job boards because usually, these lead sources involve more competition and lower pay. If you’re just starting out, these job opportunities can be good for building your portfolio, but when you’ve gained more experience, you shouldn’t settle for low-paying jobs. Ryan Robinson (a Kinsta customer) shares tips on how to write a cold email that converts. Additionally, here are some of the best tools for freelancers that can be used to make proposals. 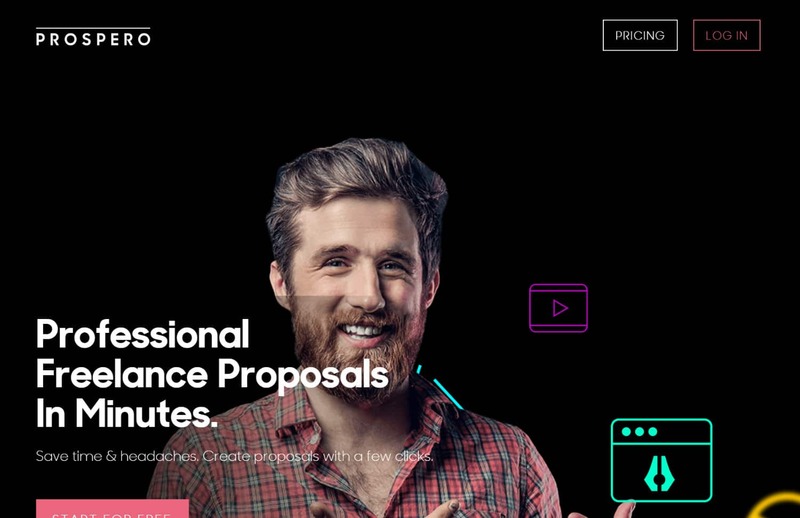 Proposify allows you to create beautiful proposals in half the time it would normally take, by offering a large library of beautiful templates. Proposify’s tools allow you to control typography and layout and add snippets—which you can then reuse to save time in the future. Proposals designed on this tool are mobile-friendly. You can also add video to your proposal to make it more engaging. Proposify allows you to integrate with many others on this list of the best tools for freelancers. It also gives you feedback regarding things like how long the client looked at your proposal and if they accepted it or not. 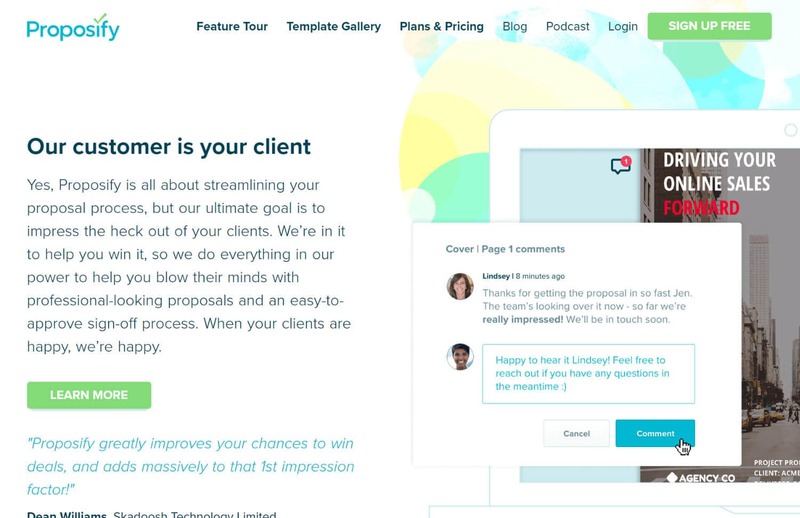 Prospero helps you create proposals while also helping you price out each project. For this reason, it’s ideal for new freelancers still getting used to the lay of the land. As you create the proposal, it asks you questions like: your rate, how long it will take you to complete the project, and the type of work you’re doing (it covers web and app design, as well as print and branding proposals). It will then help you create a proposal with ideal pricing, based on your answers. Are your products and services fairly straightforward? 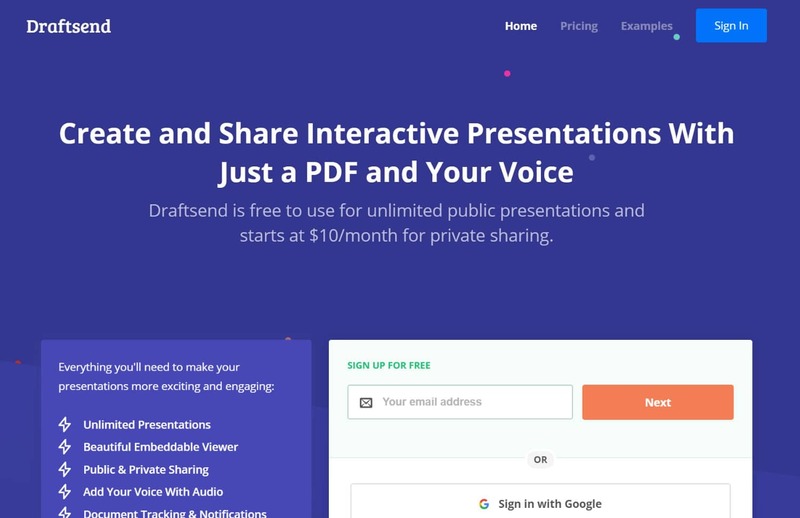 Instead of spending a lot of time on sales calls, use a tool like Draftsend to walk prospects through proposals. Record audio to go alongside a PDF! If one of your service offerings involves social media management, any of these tools could help you to do your job better. But even if you aren’t offering social media as a service to clients, these tools can also help you to bolster your own social media presence. 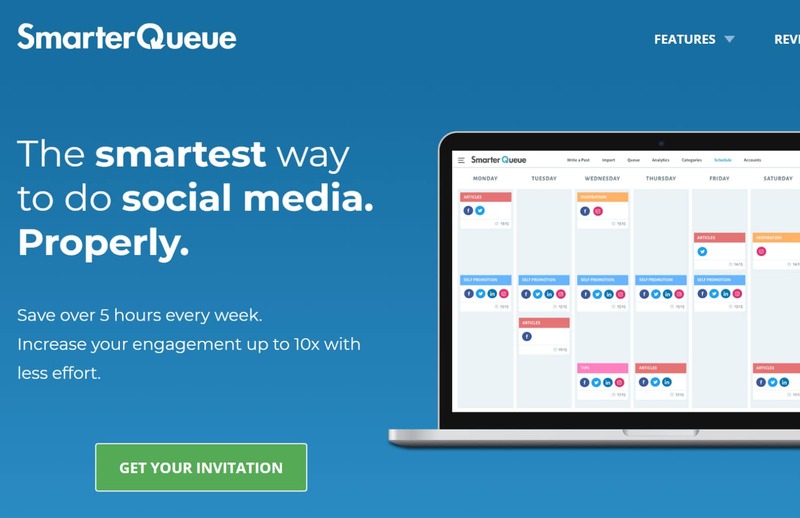 SmarterQueue is a powerful social media scheduling tool that allows you to post across many different social networks and page types. SmarterQueue automatically posts for you, even if you don’t have any content scheduled specifically for the day—choosing from a rotating content library, organized by subject type. For this reason, it’s especially useful for repurposing evergreen content. Buffer’s main claim to fame is its queue functionality—which allows you to add content without assigning it a specific date or time. From there, Buffer publishes your queued up posts based on the order in which you added them (which can easily be changed or randomized), and the date and times you’ve set to post each day. They offer a bare-bones free and affordable paid plans, depending on your purposes with this tool. 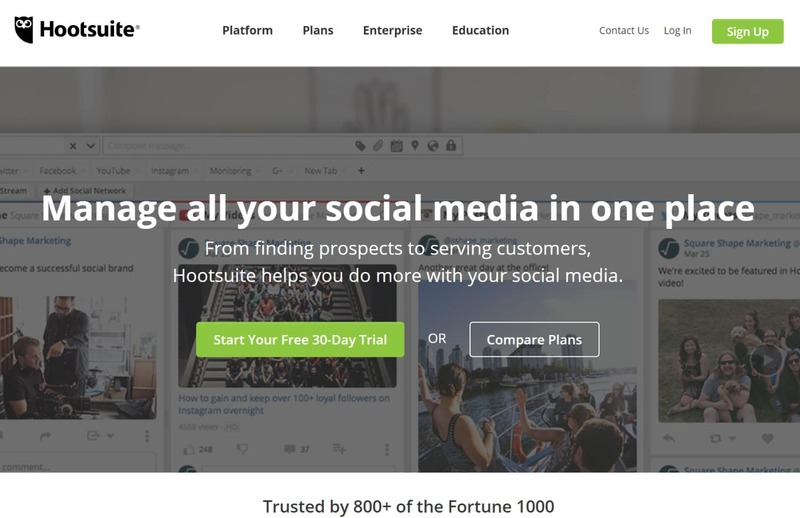 Hootsuite is another popular social media management tool, with options to scale according to business/client needs that are a little more reasonable than Buffer (at least, once your needs grow to be more than what’s offered in their Awesome plan). Create “teams” for client social profiles that allow them to see relevant scheduled posts—but no one else’s. Run analytics reports and more to continuously improve your efforts. Another great thing about Hootsuite is that they have a great training platform—not just regarding how to use their tools, but also how to optimize your social media marketing efforts as a whole. 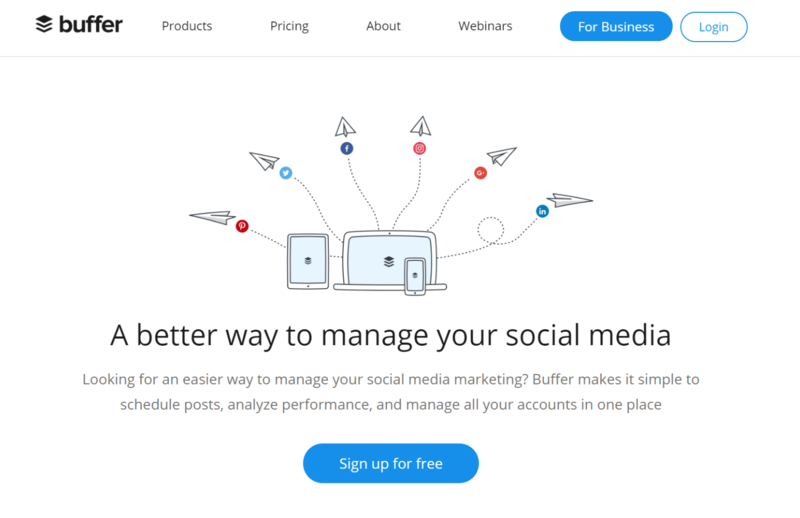 Like Hootsuite and Buffer, Sprout Social is another industry-standard social media management tool—especially popular with agencies and those managing multiple social media retainer clients. 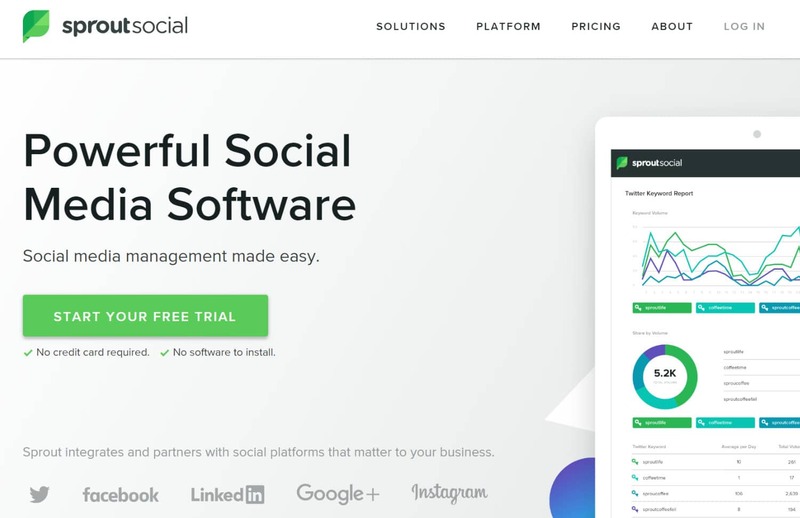 Like these other social media management tools, Sprout Social offers users a collaborative editorial calendar, analytics, and scheduling capabilities. One of Sprout Social’s most unique and useful features is their Social Inbox. Social Inbox makes it easy to respond to customers using your social channels to get in touch, for customer service needs. If you have or are working with a visual brand, Pinterest may be part of a relevant social media strategy. Unless you have hours every week to manually pin content, you’ll want to use BoardBooster to be more efficient and effective with your time. 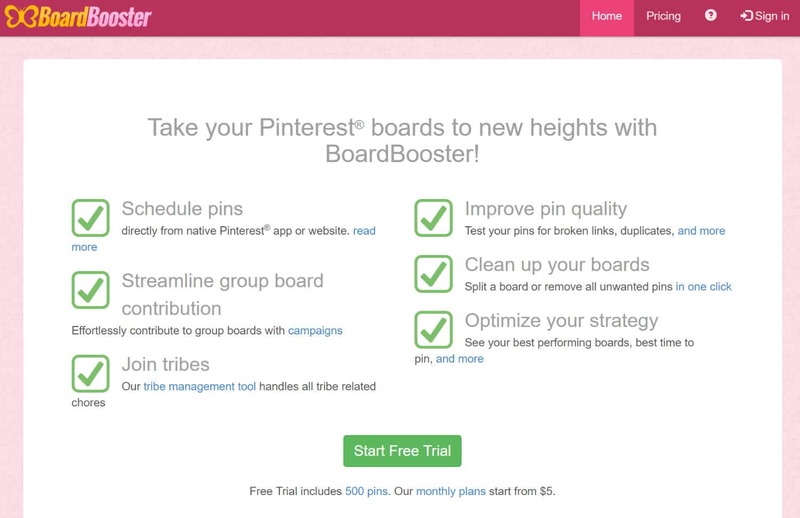 BoardBooster has several features that can help you automate your Pinterest marketing strategy. One is the ability to “Pin dump” to Secret Boards, then schedule these Pins to the Boards that your followers and profile viewers can see at the most optimal times. Another is the ability to “loops” Pins—helping to drive more impressions and engagement for your most popular Pins. As a freelancer, time is your most valuable asset. Because you own your time when you work for yourself, many freelancers blur the line between work time and personal time. Not having a clear dividing line between the two can eventually lead to burnout—so make sure that you get a handle on your work/life balance before it’s too late! Timers or time-tracking software can be essential in the beginning of your freelance journey, in terms of helping you to get a feel of how much time you spend on your most popular service offerings. As you start to expand your business, they can also be useful for tracking the time of your contractors. Hubstaff is a time tracker that was designed specifically for managing remote teams. It takes screenshots of users’ online activities so you can see whether your teams are working or slacking off. You’ll have to decide if being big brother is a role you want to play with those who work for you—or if you’re cool with a client requiring you to use this tool! You can also issue invoices and make payments directly from within Hubstaff. Harvest is one of the most reliable time-tracking tools. 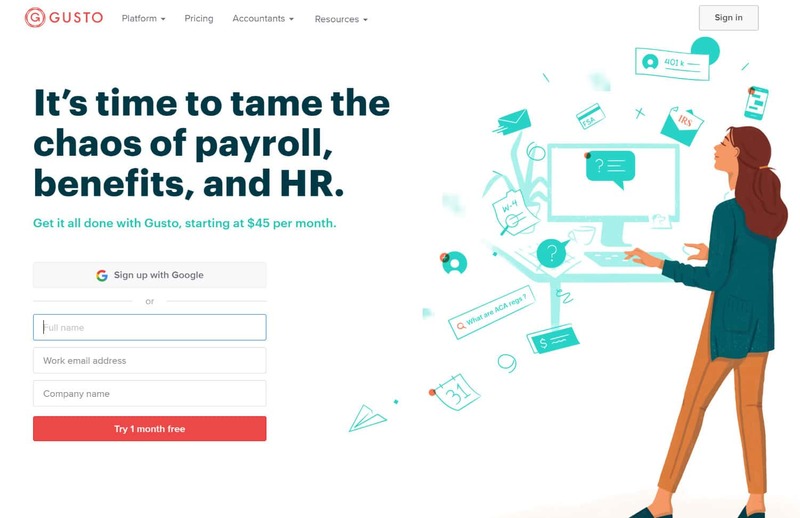 It integrates with project management tools like Asana, Trello, Basecamp, and Quickbooks, and allows you to send invoices from the app, itself. It also lets you bill clients through the Client Billing feature—making it easy to also share relevant time tracking data. 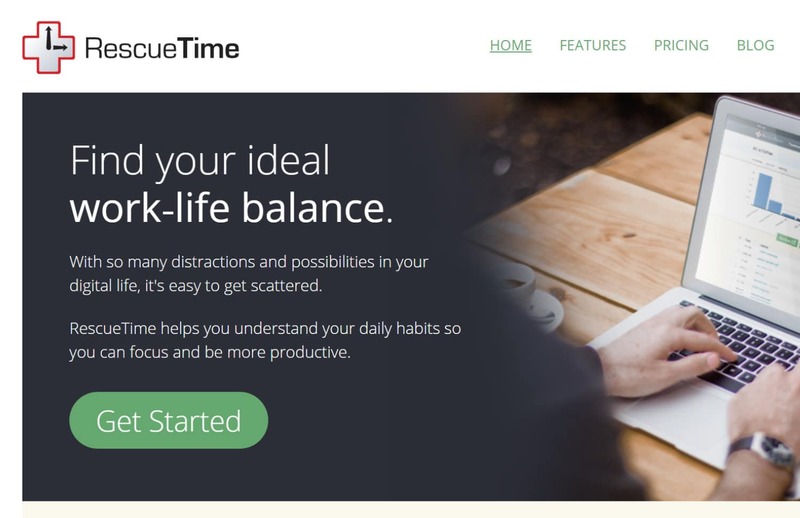 RescueTime monitors your screen activity and allows you to keep track of how much time you spend on certain websites. It generates detailed reports that you can use to analyze patterns in usage and rectify any mistakes. Qbserve offers a similar tool, for Mac users. Are you the type of person who can’t help but get lost in the black hole of your social media news feeds? 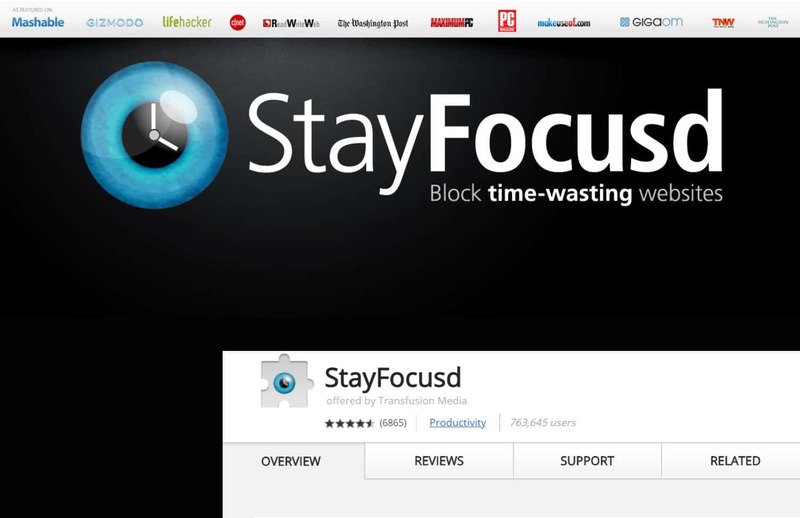 StayFocusd is a Google Chrome extension that limits the time you spend on time-wasting websites. Since it takes our brains 25 minutes to refocus from a distraction, this will help in improving your productivity. 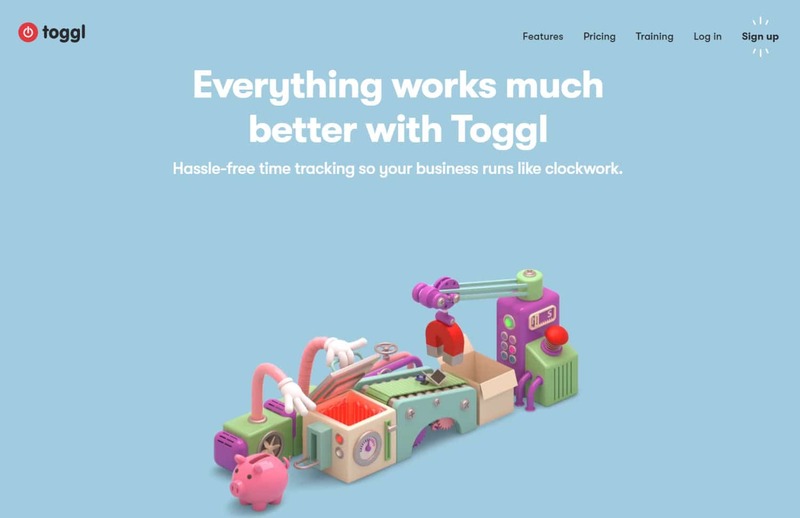 Toggl is one of the simplest time trackers available. It allows you to track time with a single click. You can easily switch between different tasks and create reports. Download the tool as a desktop application or as a Google Chrome extension. 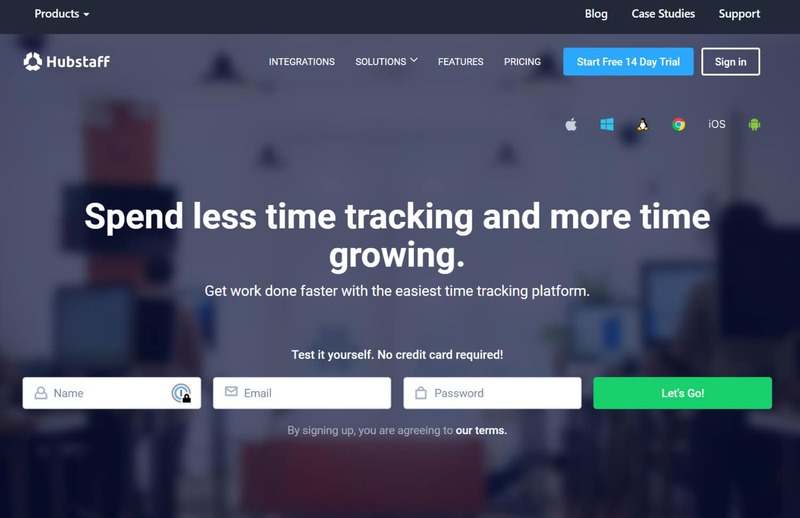 You might also want to check out Clockify, which is a 100% free time tracking software for teams. Working as a freelancer, you typically correspond with people all over the world. Tired of trying to figure out what time zone someone is in? 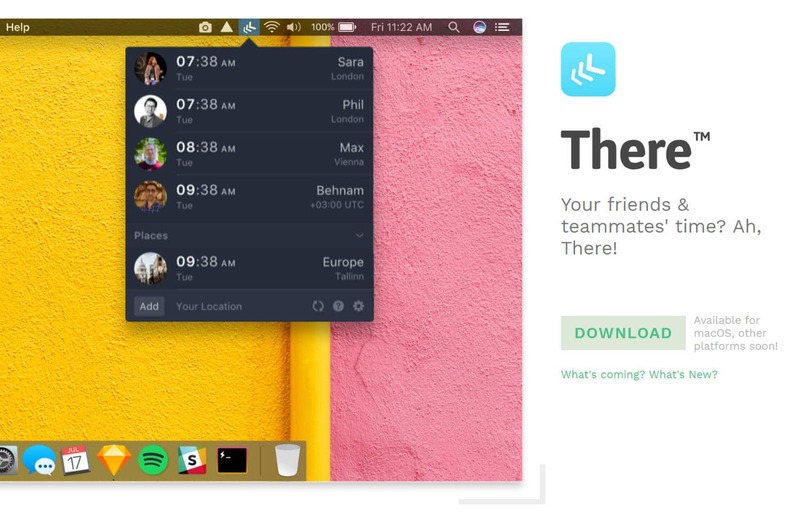 Use a free tool like there.pm to easily keep track of your friends & teammates’ timezones. There’s a Mac app, with a Windows version coming soon! If you work with clients overseas, calling them over cellular networks can be expensive. Luckily, there’s a handy workaround: video chat applications that allow you to contact people around the world, for free. 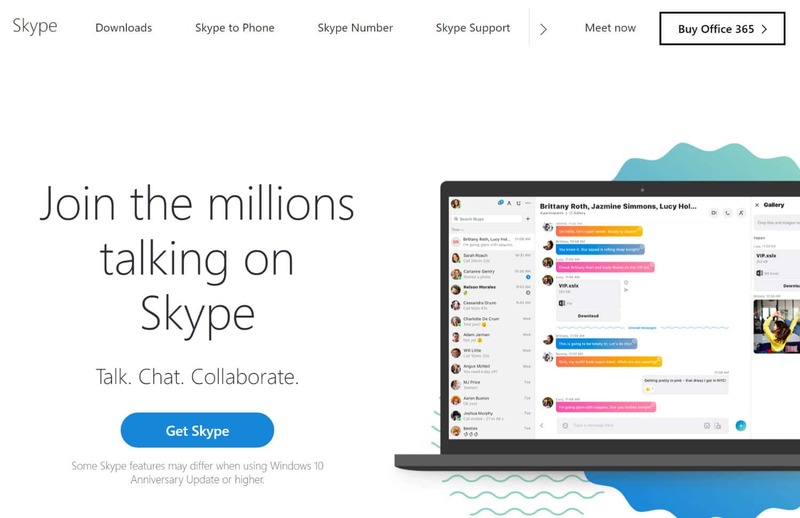 Skype is good for both voice and video calls, local or international. It is free to use when both parties are on wifi, but you can also buy credits to use it to call international phone numbers. 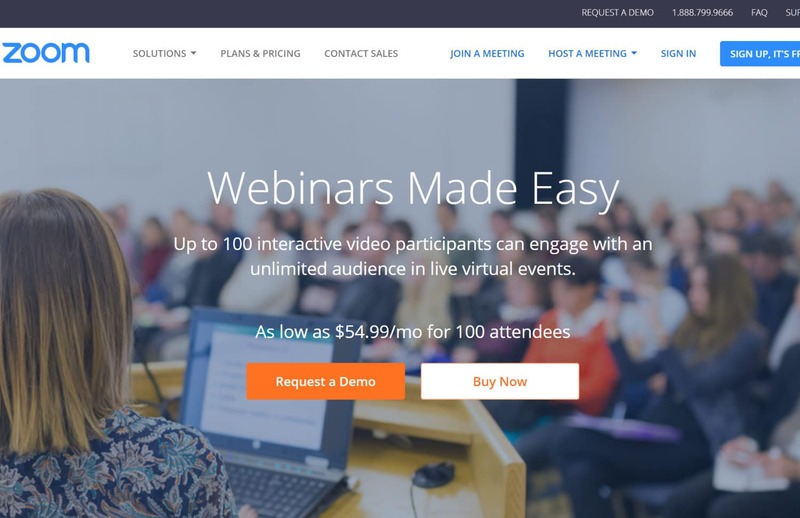 Zoom allows you to hold online conferences (or webinars) of 100+ people, with video recording capabilities also available. It’s free to use for meetings of up to 40 minutes with limited participants but paid plans for those who need more than that are incredibly affordable. One of the most in-demand freelance skills today is content writing. If this is a freelance service you’d like to offer, sign up for Kaleigh Moore’s newsletter to learn from the master (or check out the Creative Class podcast she co-hosts). 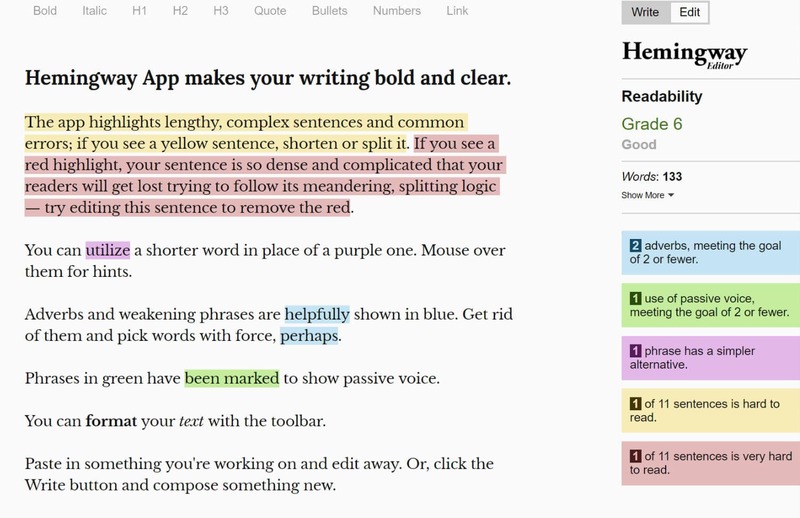 The Hemingway app is a free grammar checking tool that offers a number of useful insights into the written content that you create for yourself or for a client. One of the most interesting is the ability to judge the level at which your content reads—like if you’re using words and sentence structure that may be too advanced for the general online audience. Digging even deeper, Hemingway helps make your writing more concise and readable by making suggestions in terms of things like replacing jargon with simpler words, breaking up paragraphs, and changing active and passive voice for consistency. For even more proofreading tips please see our dedicated post here. If you use WordPress on your freelance portfolio website, the Yoast SEO plugin is a must. And as one of the top 5 most downloaded WordPress plugins, using it means that you’ll be in good company. Yoast SEO makes it easy to implement onsite SEO best practices on every post and page. Of course, in order to be effective, you’ll have to do your own keyword research—Yoast can only tell you if you’re using a keyword effectively, not if you’re using an effective keyword. Yoast can also help with WordPress SEO in general, with features like handling redirects and generating XML sitemaps for your website. 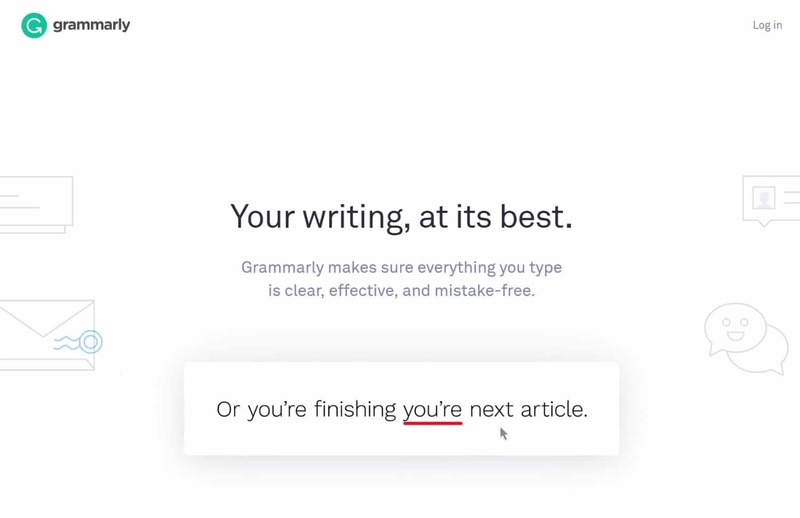 Grammarly offers the best-paid grammar checking tool. It’s hard to think of a freelancer who wouldn’t benefit from using Grammarly—even if you aren’t a writer, you still want to make sure that you come across as articulate on client emails, personal social media, your freelance portfolio website, and so on. Grammarly fixes grammatical errors, including subject-verb agreement, punctuation, and modifier placement, and can even detect correctly spelled words used in the wrong context. The best thing about Grammarly is that it explains why the correction was made, helping you to continuously get better at writing. If you’re working with other writers, it also has a plagiarism checking tool that may come in handy. If you’re writing for SEO, it’s important to find a keyword to optimize for. KWFinder can help. It offers a number of free lookups per day, in comparison to the now-limited but popular Google Keyword Planner or Ubersuggest.io. 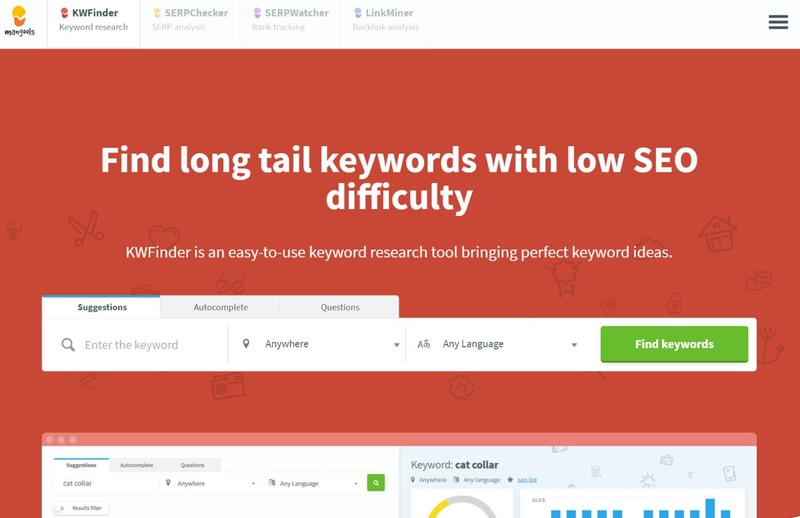 You can use this tool to really dig in and optimize for different search engines and different countries. If SEO is a big part of your freelance service offerings, consider investing in the more robust Ahrefs for keyword planning, backlink management, and more. Trying to keep everything you need to know stored in your brain is a recipe for disaster. There’s no way that your brain, all on its own, is capable of storing every to-do and every minute detail of your day. 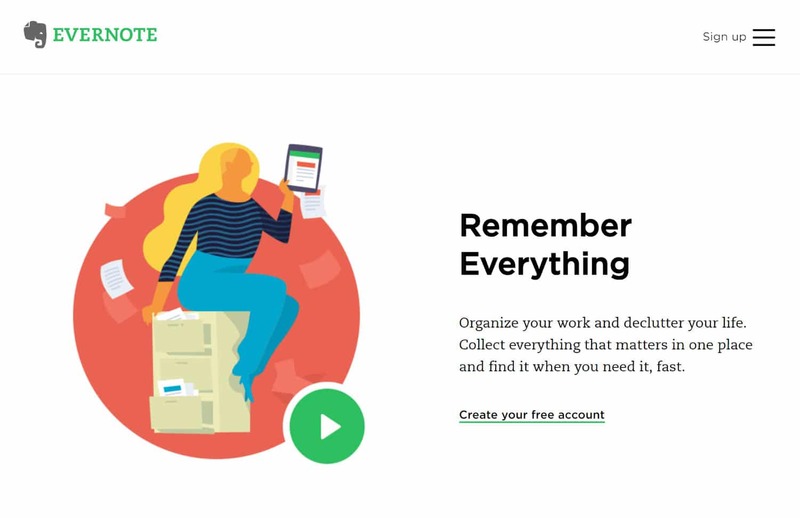 Use a tool like Evernote to get stuff out of your head and into an actionable (and searchable) note format. Organize notes into notebooks (perhaps by certain clients) and add tags to make it easier to find related information. Evernote is a simple app but extremely useful for brainstorming, writing blog posts, and taking notes on the go. If you’re just taking simple notes, another alternative you might want to also check out is Google Keep, as it integrates really well within the Google ecosystem and new Gmail. Scaling your freelance business is infinitely easier with the best tools for freelancers at your disposal. In order to be effective, spend time setting up and getting to know the most relevant options for what you do—then watch your earnings grow! 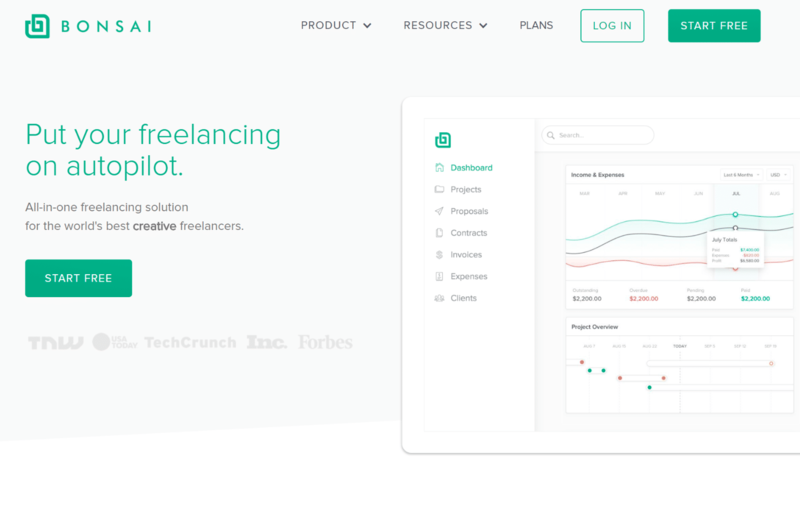 What do you consider as the best tools for freelancers? Tweet your thoughts at @Kinsta and we’ll share our favorites. Thanks for the tip! We’ve added Clockify to the post above. Wow, great list of tools, thank you for compiling this. Lots to go through in the next few days. Some really interesting suggestions here. I’m using a few already but there are several I didn’t know about and will check out for sure. Thank you for compiling. Thank you for the awesome list guys! Some of them I already knew, but I also found some new ones that I will probably start using. I have a suggestion for project management, I am using https://monday.com/, it gives me a good visual overview of my projects – Being a visual person, this helps me a lot! Perhaps it could be worthy of a spot on the list? Thanks for the excellent roundup of tools- plenty in there that I’ve never come across myself, so I’ll definitely be exploring those. 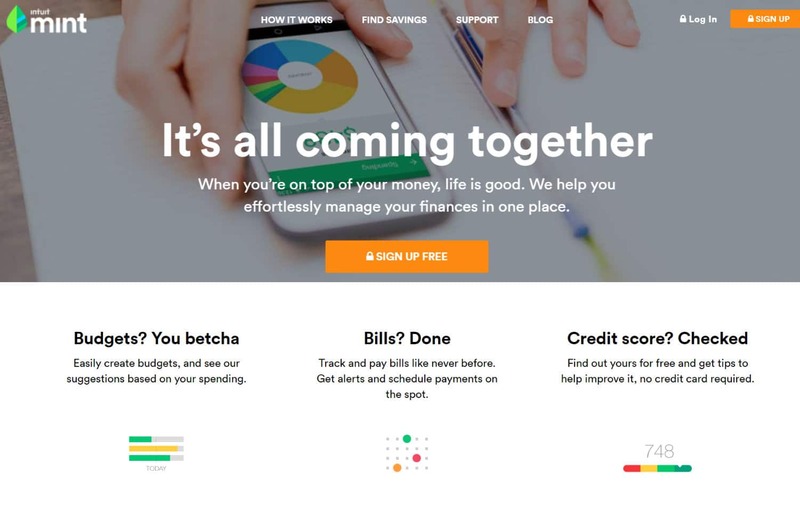 Just to add another to the mix for finance tools: Debitoor (https://debitoor.com/) is designed and aimed at small business and freelancers alike. Although I may be a tad biased seeing as I work for them, it’s certainly shown me how useful it is to our customers and how much they appreciate being able to invoice easily, quickly, and professionally- whilst being able to keep track of overdue invoices or reminders if need be. Very well defined, thank you for this interesting article I am using FLEEP collaboration tool which helps me a lot in my business. It is also a better alternative of slack. My favorite tool at the moment is Kanban Tool ( https://kanbantool.com/ ). It’s a great project management tool, but can also serve as a time tracker and a team management tool. I find it very helpful and I like that it’s easy to use.